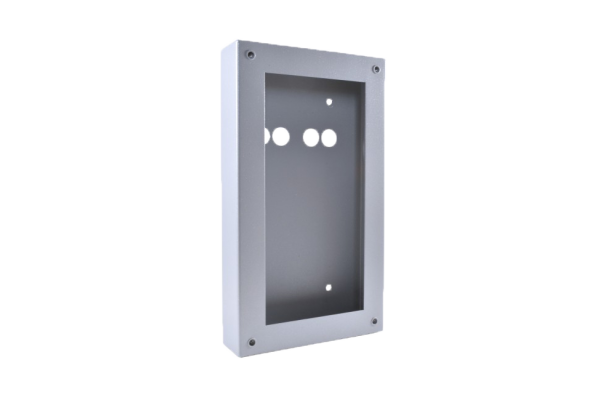 The surface box is used to mount the Loxone Intercom on the wall. 4 rubber rings are included for height adjustment. The Loxone Intercom works in tandem with your smartphone and/or tablet, so that you can always see who is at the door, wherever you are. 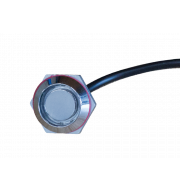 iButton Electric key fob for creating simple access solutions with Loxone and 1-wire. This video intercom, which is compatible with smart phones and tablets, is designed especially for Loxone Smart Homes and is perfectly suited for use in apartment buildings. Electronic key reader based on 1-wire technology for simple access solutions using 1-Wire iButtons. Works with both magnetic and non-magnetic iButtons.